← Why is Curiosity central to better learning? My favourite picture taken on the day is that of the Poppy wave, flowing up and over the moat entrance to the Tower, on its own a spectacular show of the Ceramicist’s Art. The moat is now so full of poppies, it seems an impossible task to find even more room for them. I wonder whether there will be more waves created? As school prepares for its own commemorative events this week and next, the artist has found a breathtaking and novel ways of commemorating the sacrifice of our forebears, one that will assist in awakening in our students, young and old, an appreciation of the past, its connection to the present, and perhaps a sign too of hope for the future. As the author of the title of this piece, Albert Einstein makes clear, it is by questioning that we find out more about ourselves and the philosophies around which we build our society. 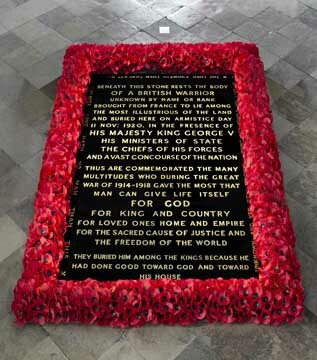 And in our efforts to reason around Remembrance, after our visit to the Moat installation, my wife and I travelled the short distance to Westminster Abbey, to see the Tomb of the Unknown Warrior. Our forebears were as remarkably original about the creation of this initial epitaph to the fallen, as we are a century later. BENEATH THIS STONE RESTS THE BODY OF A BRITISH WARRIOR UNKNOWN BY NAME OR RANK BROUGHT FROM FRANCE TO LIE AMONG THE MOST ILLUSTRIOUS OF THE LAND AND BURIED HERE ON ARMISTICE DAY 11 NOV: 1920, IN THE PRESENCE OF HIS MAJESTY KING GEORGE V, HIS MINISTERS OF STATE, THE CHIEFS OF HIS FORCES, AND A VAST CONCOURSE OF THE NATION. THUS ARE COMMEMORATED THE MANY MULTITUDES WHO DURING THE GREAT WAR OF 1914-1918 GAVE THE MOST THAT MAN CAN GIVE, LIFE ITSELF. FOR GOD, FOR KING AND COUNTRY, FOR LOVED ONES, HOME AND EMPIRE. FOR THE SACRED CAUSE OF JUSTICE AND THE FREEDOM OF THE WORLD, THEY BURIED HIM AMONG THE KINGS BECAUSE HE HAD DONE GOOD TOWARD GOD AND TOWARD HIS HOUSE. The idea of such a burial seems first to have come to a chaplain at the Front, the Reverend David Railton (1884-1955), when he noticed in 1916 in a back garden at Armentières, a grave with a rough cross on which were pencilled the words “An Unknown British Soldier”. In August 1920 he wrote to the Dean of Westminster, Herbert Ryle, through whose energies this memorial was carried into effect. The body was chosen from unknown British servicemen exhumed from four battle areas, the Aisne, the Somme, Arras and Ypres. (some sources say six bodies but confirmed accounts say four). The remains were brought to the chapel at St. Pol on the night of 7 November 1920. The General Officer in charge of troops in France and Flanders, Brigadier General L.J.Wyatt, with Colonel Gell, went into the chapel alone, where the bodies on stretchers were covered by Union Flags. They had no idea from which area the bodies had come. General Wyatt selected one and the two officers placed it in a plain coffin and sealed it. The other three bodies were reburied. General Wyatt said they were re-buried at the St Pol cemetery but Lt.(later Major General Sir) Cecil Smith says they were buried beside the Albert-Bapaume Road to be be discovered there by parties searching for bodies in the area. “A British Warrior who fell in the Great War 1914-1918 for King and Country”. More to read here. In the chaos that is life in the present, be that 1914, 2014 or indeed any era, it is through the creation and maintenance of an ordered society that provides the stability we desire for our own personal ends. Stability is perhaps the wrong word, because that certainly would not sit well with Einstein’s requirement for ceaseless questioning. Perhaps Equilibrium is a better term, focussing as it does on the dynamic balance between what works and what could be even more effective. The world is not a pretty spectacle at present, and with so much conflict evident, it might seem somewhat trite to highlight the poppy at this time. Yet as I will remind students and staff at Assembly next Monday, it is in conflict resolution that the peace for the future is won. Working hard for peace means not just fighting just wars against nations, but supporting the defeat of Ebola Virus or ISIS philosophy or Climate change. And tackling our own enemies within is also a reason for hard-line questioning, be that of communities that tolerated the grooming of children or those in power who turned a blind eye to the paedophilic tendencies of celebrity friends. There is much to be said for being sceptical, or as the Royal Institution would say it “nullius in verba” which means “take nobody’s word for it”. 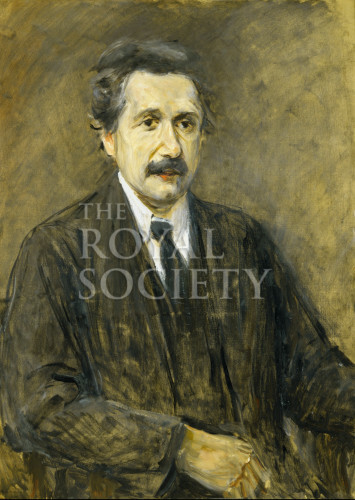 The RI elected Albert Einstein to its membership in 1921, and they did so because they wished to record his Relativity Theory and award of Nobel prize. For 354 years the Royal Institution has celebrated scepticism; for over 1000 years the Tower of London and Westminster Abbey have birthed, married, buried and commemorated conflict. The fact all three of these institutions have enjoyed such longevity pays huge tribute to our own nation’s ability to ‘Learn from yesterday, live for today, hope for tomorrow’. This entry was posted in Uncategorized and tagged Albert Einstein, London, Reverend David Railton, Tower of London, Westminster Abbey. Bookmark the permalink.